Our story — Rootwood Cider Co.
Rootwood Cider is a small craft cider company started by the Koenig family in Manson, WA. Jim & Cheryl Koenig farm more than 50 acres of apples (as well as some cherries) between three orchards. Together, with their three daughters and their husbands, Rootwood Cider produces craft cider using apples primarily from their orchards, which include ten cider-specific varieties. In 2015, the first tasting room was opened in downtown Manson and has continued to be an outlet to provide tasting flights, glass pours, bottle sales, growler fills as well as a selection of charcuterie. The newest addition to Rootwood Cider is the completion of a tasting room at the production facility which opened in the Summer of 2018. Drawing on more than 100 years of apple farming traditions in our family, in 2015 we launched a cider brand focused on producing small-batch cider made from fresh pressed apples. With the addition of ten cider-specific apple varieties to our orchard, we've been able to incorporate a wide variety of apples in our cider blends. Although a lot has changed in the Lake Chelan community over the past century, the valley's unique geography, warm sunshine, and constant access to fresh water has provided a perfect landscape for growing apples. Our orcharding story began over a century ago as family orchards were being established in Wenatchee and Manson. 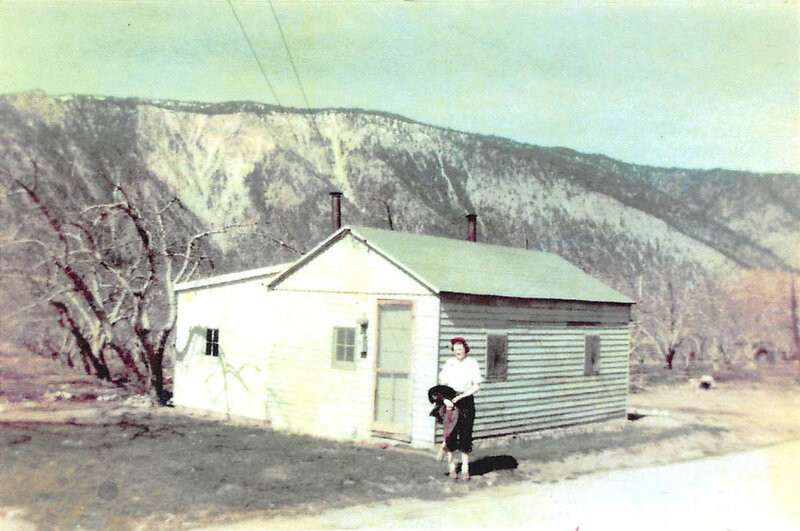 The original homestead orchard was developed by Harold and Opal Fort with help from their five daughters - the legendary "Fort Sisters” near the intersection of Lloyd & Wapato Lake Road, north of what is now the Casino. The Forts also owned orchards at the “Four Corners” where Wapato Lake road and Roses Avenue converge. Throughout the 1950's, orchards were planted around Manson as irrigation became more accessible. Orchards near what is now the popular Blueberry Hills restaurant, as well as Willow Point neighborhood were planted by Arnold & Nila (Fort) Koenig, along with their children. 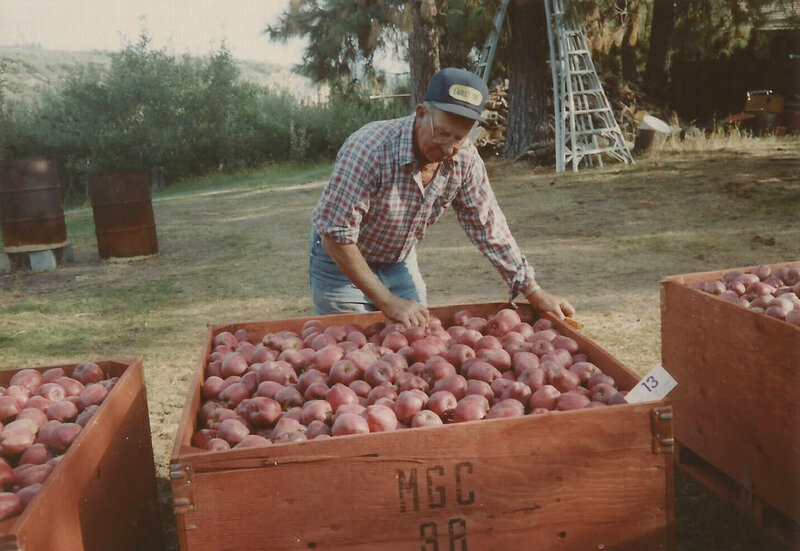 As irrigation became available in the hills above Manson, Arnold and Nila planted Golden and Red Delicious apples at what we now refer to as our "Hi-Hopes" orchard. The last of the original 60+ year old trees have since been removed for replantings in 2015, but a stump from the first orchard block was saved and is on display at our production facility today. As time passed, Jim Koenig took over most of the orcharding, planting more trees at what is now our cidery property. Jim and Cheryl continue to farm three orchards to this day, with help from the next generation. Left to right: James Caddey, Anna Koenig Caddey, Cheryl Koenig, Jim Koenig, Emily Koenig McLean, Nick McLean, Kate Koenig Howard, and Jesse Howard.